let's discuss: A Free Degree? OpenCourseWare for Classical Singers. 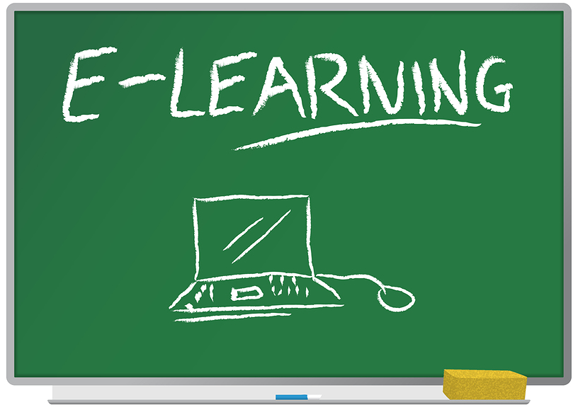 OpenCourseWare (OCW) are high-quality educational courses and materials made free and available to the public via the internet. The movement started in 1999 when the University of Tübingen in Germany published videos of lectures online in the context of its timms initiative. Most Americans have probably heard of OCW because of MIT‘s involvement and early adoption of the concept: MIT OpenCourseWare (OCW). MIT has made a permanent commitment to presenting virtually all of its courses online. MIT’s reasoning behind OCW was to “enhance human learning worldwide by the availability of a web of knowledge.” Since then, many colleges and universities developed OCW initiatives and offer everything from Aerodynamics to Vocal Repertoire and Performance. No one earns credit or obtains a degree from using OCW, don’t let the title of this post fool you. However, singers can use these types of online initiatives to further their education and preparation for roles. Renée Fleming was, in fact, a Fulbright recipient earlier in her career. She recounts her time in Frankfurt, Germany as being one of the most influential experiences in her education. She says, “At the time, I had no idea that I would become somewhat of a Strauss specialist. Being immersed in the language and the culture has helped me feel more authentic in my portrayals.”³ Although the rest of us may not have the opportunity to become Fulbright recipients, we can use the resources available via the internet to gain some of those insights. Let’s take a look at some ways that we could put together a Performance Artist Diploma from using OCW and personal experience. I borrowed this from Indiana University’s general guidelines for Performer Diploma in Professional Opera Studies. Tool Subjects Knowledge of French, German, and Italian grammar equivalent to two semesters in each at the undergraduate level. Students having fewer than two semesters with a grade of C or better in each of these languages at the undergraduate level must pass proficiency tests or the prescribed language courses. Regardless of previous training, each student must pass either a proficiency examination or a diction course in each language. Obviously, language study is one of the biggest advantages of going through formal education. Consistent, daily study is key to truly mastering the subject. MIT OCW offers traditional courses in Spanish, German, and French and other international schools offer language courses supplemented with cultural study. Perhaps finding opportunities for foreign language Meetup groups as well as the Pimsleur cds mentioned in 29 Days to Diva (#29daystodiva) would help cement your understanding. In spring 2003, MIT even offered a course called “Grammar of a Less Familiar Language” – how useful would that be when preparing entire roles and song cycles? Performance Study V900 Voice Lessons (3-3-3-3 cr. ); V910 Vocal Coaching (2-2-2-2 cr.). This is an area that you many people continue with outside of formal education. One of the reasons taking lessons in formal institutions is so useful is because it requires people to use different learning styles to accommodate working with new mentors. Opera Courses R591-R592 Dramatic Coaching I-II (1-1 cr. ); R581-R582 Advanced Opera Skills I-II (3-3 cr. ); R589 Physical Alignment in Singing (2-2 cr.). These courses are usually more specialized when you attend conservatory or university’s with an intense opera department. However, you may be able to find some courses in OCW that are complementary or work with coaches to master this knowledge. For example, finding a good dramatic coach that will work one-on-one with you is an invaluable resource. You may also find an Alexander Technique Practitioner to achieve the same results as Indiana’s “Physical Alignment in Singing” course. Music Courses 3 credit hours, selected from M525 Survey of Opera Literature (3 cr. ); or one of M561, M562, M563, M564 History and Literature of Opera I-II-III-IV (3-3-3-3 cr.). Major Ensemble X070 Opera Chorus (2-2-2-2 cr.). Students will enroll each semester in Opera Chorus. In semesters during which the student has no opera role, participation in Opera Chorus in two productions is required. In semesters in which the student is assigned any non-chorus role, participation in Opera Chorus in one production is required. Recital In lieu of a recital, two opera roles are required, contingent upon audition. R600 Opera Performance (0-0 cr.). These are also personal experience requirements that you can gain in your locale. Audition for local opera choruses and professional choruses to get ensemble experience and continue working on better and bigger staged roles to bolster your presence, confidence, and knowledge. Trust me, I get it. You will never be able to replicate the conservatory experience outside of those hallowed halls. However, you can supplement or continue your education with these nifty online tools. Singers are students of the world. The more you know; the more you will be able to bring to your opera characters and concert performances. Plus, while struggling to pay for rent or pay audition fees – how great is it to take part in high-quality lectures for free? So maybe the next time you go to watch one of those cat videos, you will also consider partaking in a video that furthers your career.